Synthetic peptide within Human Glutamate Receptor 1 (AMPA subtype) aa 850 to the C-terminus (C terminal). The exact sequence is proprietary. WB: Human, Mouse and Rat brain lysates. Our Abpromise guarantee covers the use of ab109450 in the following tested applications. WB 1/2000. Detects a band of approximately 106 kDa (predicted molecular weight: 102 kDa).Can be blocked with Glutamate Receptor 1 (AMPA subtype) peptide (ab219618). We recommend to use 1%SDS Hot lysis prepare method to get desired Western Blot results. 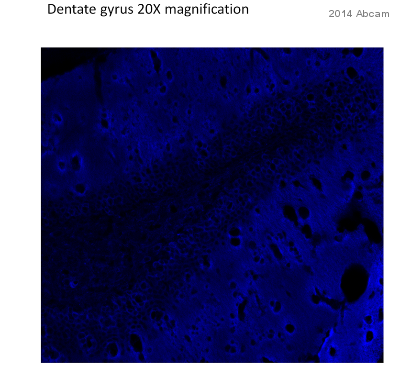 ab109450 (purified) at 1/20 immunoprecipitating Glutamate Receptor 1 in Mouse Brain whole cell lysate. 10 ug of cell lysate was present in the input. For western blotting, a HRP-conjugated Veriblot for IP secondary antibody (ab131366) (1/1,500) was used as the secondary antibody. A rabbit monoclonal IgG (ab172730) was used intead of ab128913 as a negative control (Lane 3). Publishing research using ab109450? Please let us know so that we can cite the reference in this datasheet.